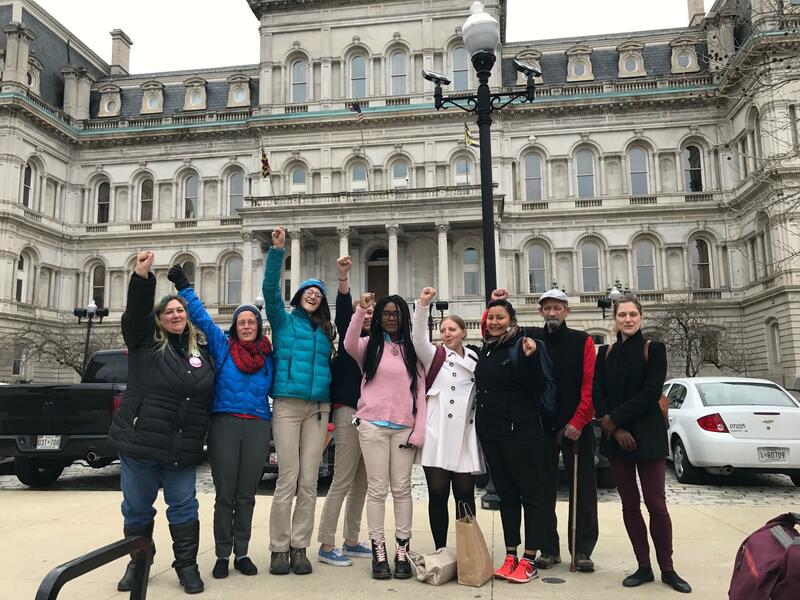 The Baltimore City Council on Monday approved two bills that environmental activists in the city had been fighting to advance for years. The first bans the construction or expansion of any crude oil terminals in the city. The goal of this legislation, which passed by a vote of 14-1 and now must be signed by the mayor, is to reduce the risk that trains carrying volatile crude oil could derail and explode in the city. The second bill outlaws a petroleum product: Styrofoam cups and fast-food containers, which do not break down in the environment like paper products, and so create a persistent source of litter, and a blight in streams and along roadsides. Outside city hall, Jennifer Kunze, a program organizer with Clean Water Action, praised the council for the oil terminal bill. She said it was a prudent move for the city, because the rise of hydraulic fracturing as a means of extracting oil about a decade ago fueled a dramatic increase in the number of trains carrying crude oil through populous areas. The legislation would leave two existing crude oil terminals in the city, on the waterfront in Fairfield and Canton. But it would prohibit more -- as had been proposed for south Baltimore by a Houston-based company called Targa Terminals. Back in 2014, Targa had proposed to open a new terminal to handle almost 400 million gallons per year of crude oil transported through the city and Chesapeake Bay, until it was challenged by the Environmental Integrity Project and finally backed down in 2016. Jeff Fraley, a board member of a trade organization called Baltimore Industrial Group, testified against the city council bill, arguing that it would make the city less attractive to industry. Beyond the safety issue, the push for this legislation was part of a big picture effort by the Chesapeake Climate Action network and allies to discourage new infrastructure for the use of fossil fuels, and instead encourage cleaner wind and solar power. The decision means Baltimore joins the District of Columbia, and Montgomery and Prince George’s counties, in requiring biodegradable and more earth friendly packaging.